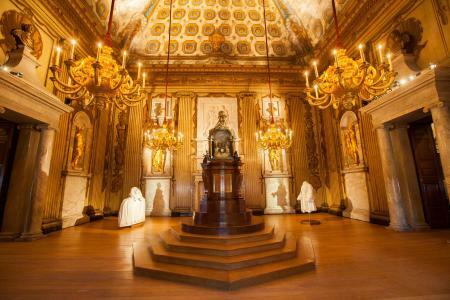 At Kensington Palace in London you can look at a 300 year-old royal four-poster bed and marvel at how small people used to be, pretend to be Head of State by wafting down a grand staircase and see what games kings used to play. We explain what's on offer for a family visit. Want to see a real royal residence in action? Elisabeth Galvin visited London’s Kensington Palace with William, three, and Mary, five (no connection to the Palace’s first royal occupiers!). This is a rare chance to get a glimpse inside the house of The Duke and Duchess of Cambridge (better known as William and Kate). But you won’t see Prince George’s school bag hanging up or Princess Charlotte’s muddy welly boots on the doorstep of Apartment 1A as visitors are only allowed into certain areas. Nevertheless, this is a fun, visual way to learn about English royal history and much more lively than poring over a dusty old book. Plus it's next to the Princess Diana Memorial Playground, voted the best in London by our family – complete with wigwams and a Peter Pan pirate ship in a giant sandpit (don’t miss the Elfin Oak fairy tree on the way in). 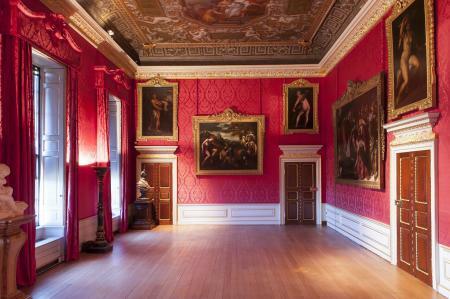 Kensington Palace was originally a country bolthole for King William III and Queen Mary in the 17th century. Christopher Wren (the architect of St Paul’s Cathedral) turned it into Kensington Palace, apparently on a budget as it is made of brick rather than stone. Famous former residents include Queen Victoria, who was born there and met Prince Albert there. Princess Margaret lived at Kensington all of her adult life and famously held parties there for celebrities of the 1960s. Princess Diana had her own apartment from when she married until she died. Her son, Prince Harry, now lives there, as do other members of the royal family. The museum part of the Palace has three main places inside to explore: the lavish King’s State Apartments, the separate Queen’s State Apartments and an area for special exhibitions. Afterwards there is plenty of room to stretch legs in the glorious Gardens. The grandness of it all can’t fail to impress young visitors but the place is extremely family-friendly and doesn’t expect children to be seen and not heard – fortunately Queen Victoria moved out in 1837! 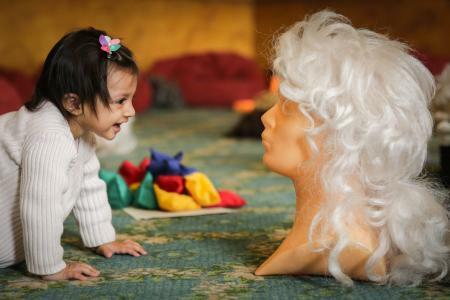 The Tiny Explorers program on selected Wednesdays is really worth making the effort to book. Specifically for the under fours, there’s a range of different activities including messy play. William (3) loved singing and dancing to Queen Mary’s song that was written for her birthday more than 300 years ago. And it is a real thrill to go behind the scenes in the palace to rooms that the public can’t usually visit. Tickets are £6 per child (price includes up to two adults) and are popular so book in advance over the phone: 020 3166 6000. Children won’t believe how small Queen Mary’s four-poster bed is, and will love to find out that she used to entertain her friends in her bedroom just like they do. Boys might enjoy knowing King William used to play soldiers with his nephew in his side of the Palace and drank beer and ate fish for dinner. Visit the drawing room to see the card tables set up for games that the king used to play. You can see some of the most famous dresses worn by Diana Princess of Wales until February 2018, including the long inky velvet one she danced with John Travolta in. Those with more masculine interests might prefer to explore the King’s Gallery and imagine how it was used as a sort of Georgian gym: King William used to exercise there! Ask your children if they can guess why there are hardly any chairs or furniture in the King’s Apartments (it’s because everyone had to stand in the presence of royalty). 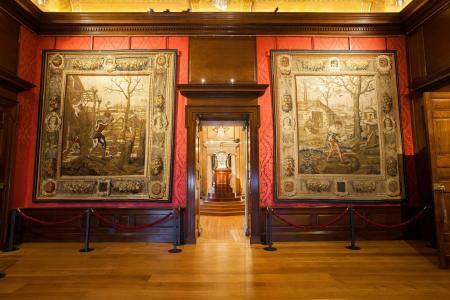 Everyone will feel grand as they wander up the King’s Staircase with its opulent paintings of characters from George I’s court. Have fun spotting the most outrageously glamorous Georgian dresses and jewels – only the smartest were allowed past the Yeoman of the Guard (spot them in their red Beefeater uniforms). There's loads on for families at weekends. Check the website for details of special festivals in the school holidays; past events include a celebration of the Glorious Georges (Georgians). Family trails are available from the trail stand in White Court, suitable for 5 to 11 year olds. 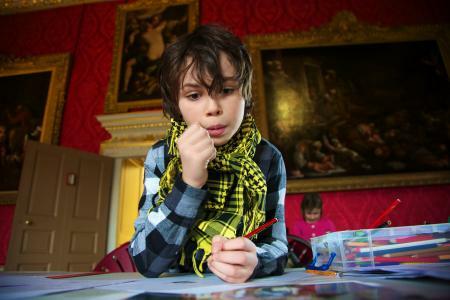 There's also a new digital mission for families at Kensington Palace: meet a character from history, explore all around you, do challenges and win a badge in an interactive adventure played on a digital device (download the free Time Explorers app to your mobile before you visit). Bring a picnic fit for a royal feast in gorgeous Kensington Gardens. If it’s bad weather, the Palace Café offers children’s lunchboxes, imaginative sandwiches and salad boxes and the most tempting (and large) slabs of cake. For a real treat with older children, have high tea in the very pretty Orangery. Kensington Palace is in Kensington Gardens, which is well served by buses. High Street Kensington and Queensway underground stations are a 15-minute walk away. Prices: Free for children under 16. Adults £15.50. Tickets are available online. Plenty of prince and princess-themed goodies including a knight and castle sticker book. The ruler listing England’s kings and queen’s is useful for history lessons..
Television’s Lucy Worsley is chief curator for Kensington Palace and her blog entries on the website are a source of trustworthy, fascinating and readable information on Britain’s kings and queens. Timelines, videos and information about Queen Victoria are also available.